Cinco de Mayo is a Mexican holiday celebrated annually on May 5. Cinco de Mayo is Spanish for 'Fifth of May' and commemorates the unlikely victory of the Mexican Army over superior French forces in the Battle of Puebla on May 5, 1862. Even though it is only a public holiday in the state of Puebla, where the battle took place, and not in the rest of the country, schools are closed nationwide on this day. Over the last decades Cinco de Mayo has gained increasing popularity in the Mexican-American population of the United States for the celebration of Mexican culture, heritage, cuisine, dance and music, comparable to St. Patrick's Day of the Irish. 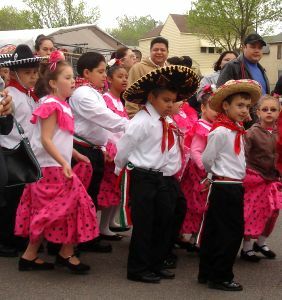 Parades are staged and events, celebrations and ceremonies are held on this day, especially in areas in the Southwest that have large populations of Americans of Mexican descent. 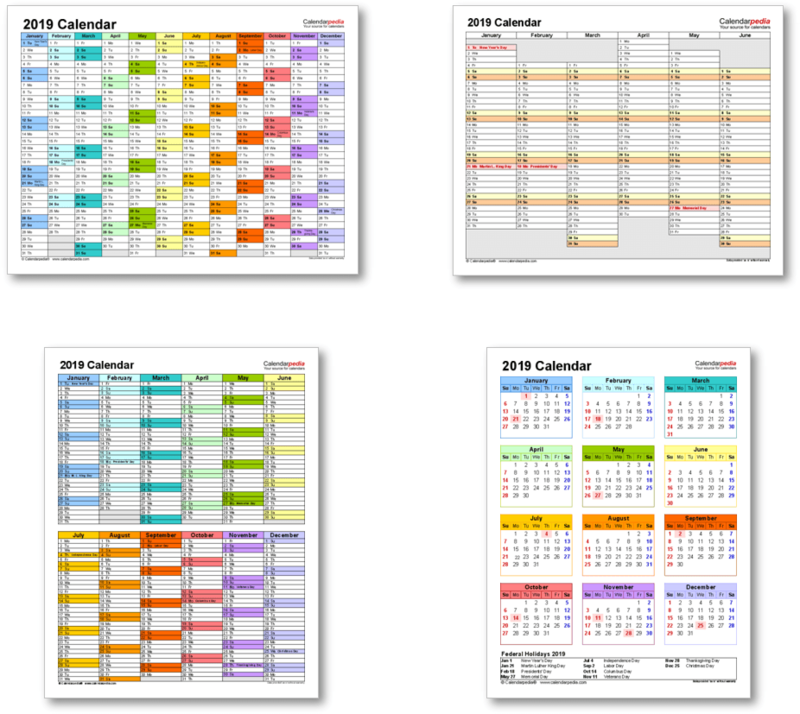 Cinco de Mayo is not, as sometimes mistakenly assumed, Mexico's Independence Day, which is celebrated on September 16. Find out more about Cinco de Mayo on Wikipedia. 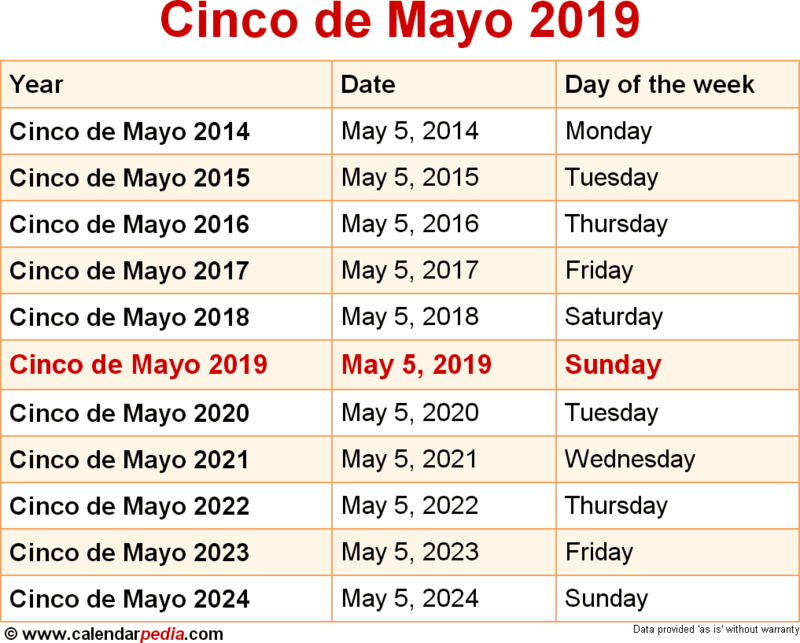 When is Cinco de Mayo 2020? The next occurrence of Cinco de Mayo is marked in red.